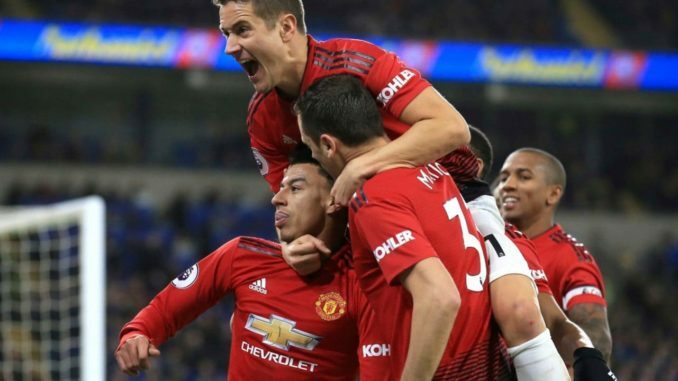 Manchester United have been absolutely fantastic under the management of interim boss Ole Gunnar Solskjaer and now they are fourth in the Premier League. It will be intriguing to see how the Red Devils will fare against French giants PSG in the Champions League. The first leg of the R16 tie will take place at Old Trafford tomorrow night and we can expect the Norwegian boss to make five changes in the United team that started against Fulham at the weekend. In the defense, veteran Ashley Young should return and replace Diogo Dalot in the right back position. The likes of Lindelof and Bailly could return to partner in the central defense by replacing Smalling and Jones. Shaw should retain his place in the left back position. As far as the attack is concerned, Martial scored a stunning solo goal vs the Cottagers in the last game and he should start ahead of Alexis Sanchez on the left wing. Rashford should replace Lukaku to start in the center forward role and Lingard should replace Mata to start on the right wing. In the center of the park, the likes of Matic and Herrera should retain their starting positions and in form Paul Pogba should start in the central attacking midfield role. Here is Man Utd’s strongest possible 4-2-3-1 XI vs PSG.